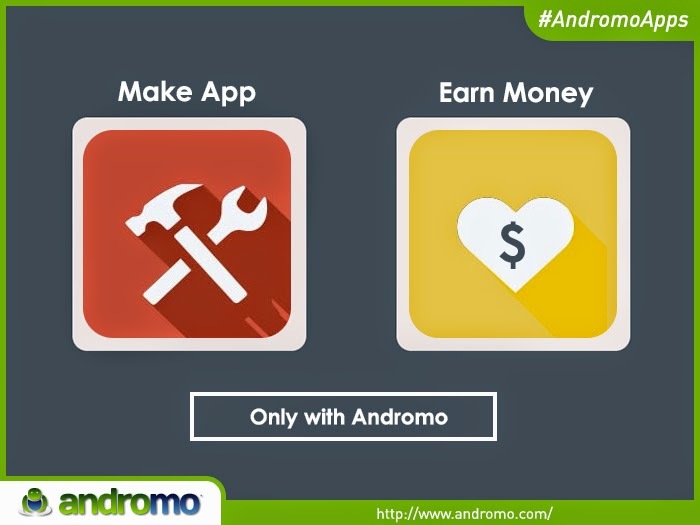 Andromo makes app creation possible for everyone. If you can point and click, you can make an Android app. No kidding. Make your own app right now. Andromo makes it fast and easy to create Android apps, with absolutely no programming required. The great thing about it is that you can re-purpose the online content that you already have. For example, if you have a blog or website, you can turn it into a feature in your app. Same goes with your photo galleries or YouTube videos. 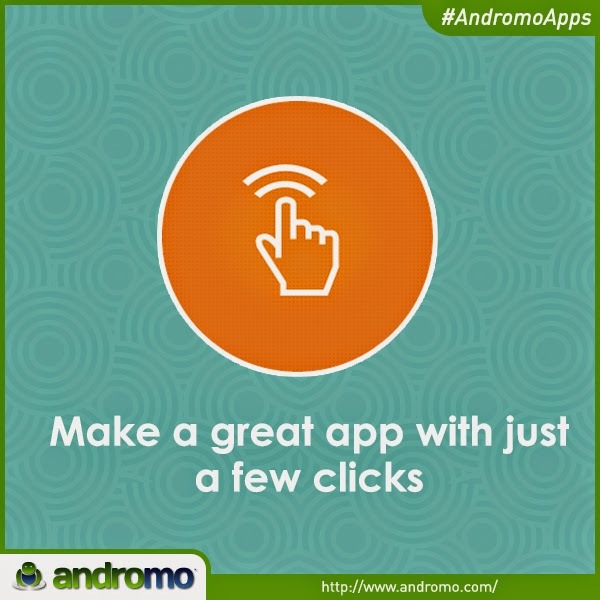 You already have a great app in you – Andromo helps you unleash it. There's nothing cookie-cutter about an app made with Andromo. You control the appearance of your app and give it your signature style. You configure the look of the dashboard and dropdowns. You choose the colors, and upload your own icons and images. Your app’s unique look is all up to you. Make money building Android apps. 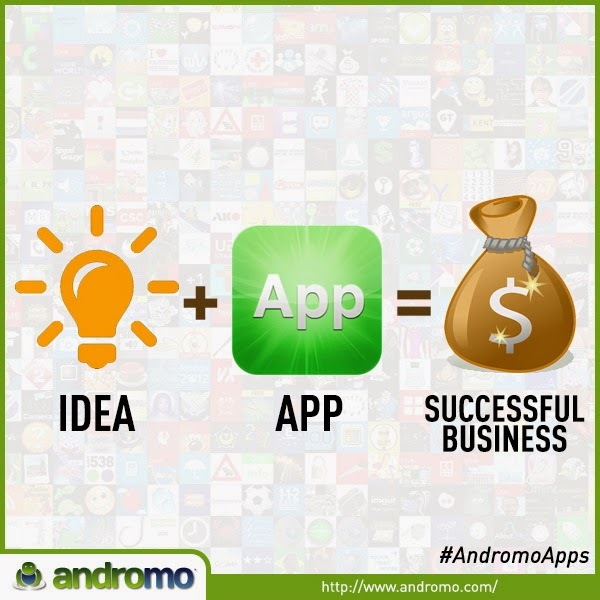 Having an app is a great way to make money, and there are several ways to do it with Andromo. You can earn advertising revenue by including ads in your app. You can sell your app on Google Play where tens of millions of people shop. Or you can use your app to promote and advertise your business (band, organization, etc. ), gaining a wider audience and more customers. Pick and choose the features in your app. You can add cool features to your app, all with a few clicks. Plus, with Andromo you can now create multilingual apps right out of the box! All of the built-in dialogs, menus and prompts are pre-translated into 24 different languages including Arabic, Chinese, Dutch, English, French, German, Hebrew, Hindi, Indonesian, Italian, Japanese, Korean, Norwegian, Polish, Portuguese, Russian, Spanish, Swedish, Thai, Turkish and Vietnamese. And of course, we also support international characters for all of your own text! Making an app for a worldwide audience has never been this easy. Sell your app on Google Play and Amazon. 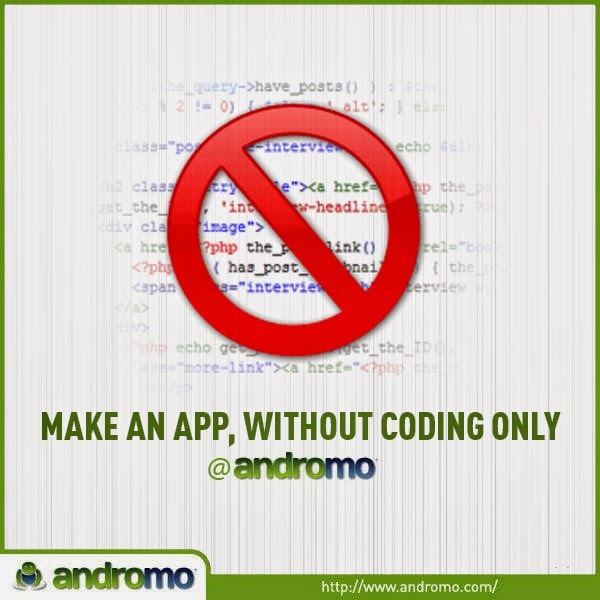 If you have an idea, you can turn it into an app with Andromo. Make self-help apps, e-books, ‘fan news’ apps, or how-to videos – the possibilities are endless. Then upload your apps to Google Play (the official Android market), the Amazon Appstore (the official Kindle Fire market) and start selling! It’s that easy. If you are giving away your apps for free, you can make money by including both banner and interstitial ads. Andromo supports many of the top networks including AdMob, Amazon and others. You'll be making money in no time. And if you change your mind, simply rebuild your app without the ads. Consultants who design apps for others can use Andromo, too. Charge the rate you choose for your services, make as many apps for as many clients as you want, and pocket the difference. You save weeks of work, get top-notch results, and you don’t have to re-invent the wheel. Promote your business or brand. Whether you’re a local pizza parlor or a large chain business, you can use Andromo to make your own professional Android app. You’ll save money and get it done quickly. And you’ll make money by putting yourself in front of an audience of hundreds of millions! I was so excited to get to try Andromo App Maker for Android. This is super cool and I like that you don't need to know programming to use it. There are so many options and ideas you can create almost anything you dream of. I like that there are 24 languages and you can turn your idea into your dream business. I would recommend this App Maker. This looks fun to use. I would love to make my own apps.